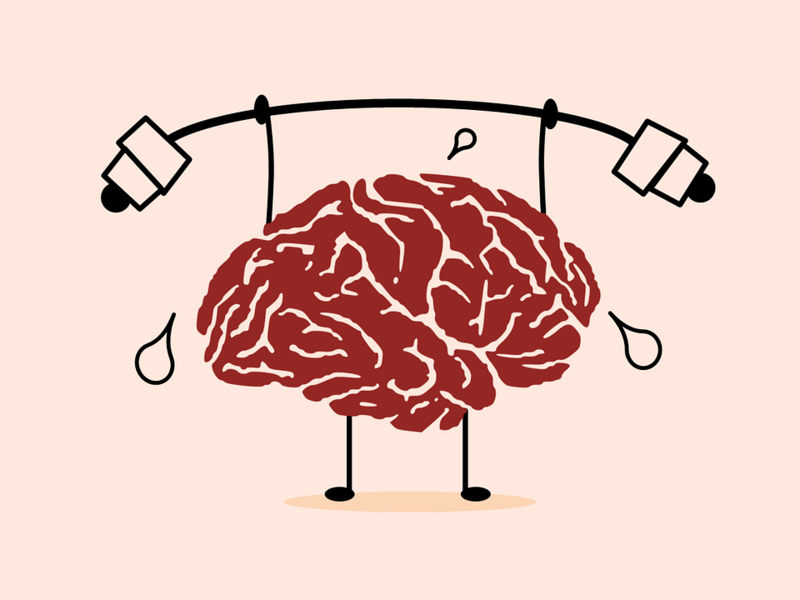 It is often said that exercising brain power increases by brain use, in the same way that bodily strength grows with exercise. The most obvious and directly manifest elements of learning a language are that associated with memory and attention span. An experiment in 2013 by the Journal of Experimental Child Psychology found that bilingually raised children not only performed significantly better in working memory tasks, but also were proven to operate better in tasks requiring ignoring distraction and remaining focussed. These are all linked to superior performance in ‘executive function’ scenarios, which describe goal based cognitive challenges including problem solving, mental flexibility and task switching. However, the cognitive benefits are not just shown in children. Indeed, one of the most widely publicised benefits of learning a foreign language is in delaying and limiting the effects of dementia. Indeed, Researchers at the University of Kentucky and Kyungpook National University in South Korea found that upon performing MRI scans of over 100 bilingual and monolingual adults (male and female), those who were bilingual required significantly less blood flow to the front of the brain (associated with making decisions) when performing mental exercises. Similarly, scientists in Toronto have found bilingual adults to have thicker cerebral cortexes and stronger ‘white matter’, which is how the brain transfers information. As a result, bilingual adults may suffer less deterioration in these parts of the brain as they age, which is something directly linked to the onset of dementia. Ellen Bialystok, in an essay in ‘Neuropsychologia’ journal, examined hospital records and found that on average, bilingual patients were submitted to an AD (Alzheimer’s Disease) ward 3 to 4 years later than monolingual patients. Nevertheless, these studies must be taken with a pinch of salt; the controversy being a ‘chicken and egg’ scenario. Do people who study a second language become more mentally robust, or is it in the nature of someone with cognitive strength to pursue language learning? It is not easy to say and is called the theory of ‘Language Nativism’, put forward by Chomsky. This is a somewhat controversial concept which suggests that some people are naturally more inclined to succeed with languages. Yet, there is much more evidence to support the theory of ‘Linguistic Empiricism’ – this argues that language learning cannot be innate, and was put forward by philosophers and scientists including John Locke. It criticises language nativism on the grounds that it is not supported by scientific testing and evidence. In any case, there are further health benefits to learning a language that lie outside of mental fortitude. These relate to emotional intelligence. Emotional intelligence describes the ability to handle interpersonal relationships, deal maturely and empathetically with day to day issues, as well as express yourself. Creativity and expression is as much of a philosophical subject as it is psychological. Language and expression is innately biased; the way in which people act and talk reflects the culture they are brought up in. This may seem obvious, but it has wider reaching consequences than you may imagine. Disembodying language and meaning can allow you to view and understand the world in a whole new way. Nietzsche argued language was more suggestive and evocative than it was declarative, and this is something that can only be understood through the lens of multiple languages. When you look at the differences between ‘Hello’ in English, German and Chinese, only then can you truly appreciate the implications of what an apparently simple greeting may mean to someone. A 2012 study by Rubio-Fernández & Glucksberg of the American Psychological Association suggested bilinguals had a deeper appreciation for cultural differences, and reasons that people who have even a basic understanding of a second language have greater sociopsychological sensitivity. Here at the Marlow Language Centre, we have taught students of every age from 4 to 94 (and sometimes younger and older than that! ), and it has taught us one thing: age is no barrier to language learning. Learning another language is undoubtedly a very healthy as well as practical activity, it not only can help your brain, but give you a great understanding and appreciation for other cultures. It is for this reason that over 95% of Marlow Language Centre students would recommend the centre to their friends. Our approach is not only to make learning fun and interesting, but to also push you and allow you to reach your full potential and make fantastic progress learning whatever language you would like. So, if you would like to learn for work, for holidays, for family, or purely to give your brain a regular workout, the Marlow Language Centre is the place for you.